A member of the mint family this has rich red-purple heads of flowers from June through to early autumn and brightens hedgerows and woodland edges all over England and Wales. 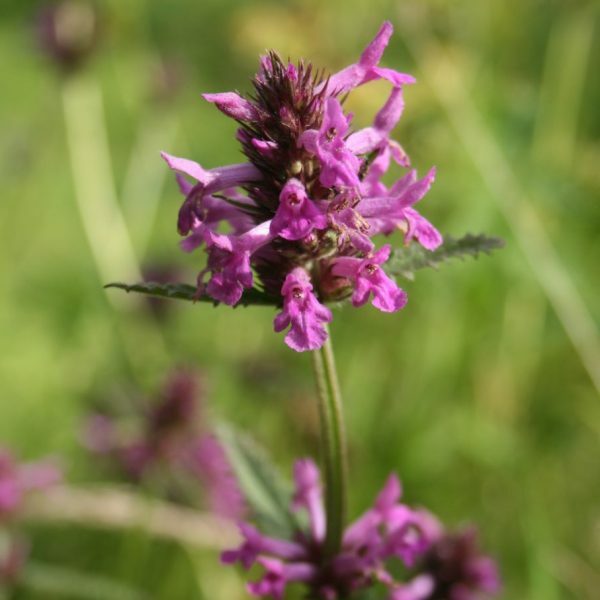 Betony was much praised by ancient and medieval herbalists. The Emperor Augustus’ physician used it as a certain cure for 47 illnesses.